Having Asian Handicap 0,5 explained will help you if you bet on football regularly. This sports betting technique is a popular option for people in the United Kingdom. It's also known as the Half Asian Bet or half Asian handicap. The Half Asian Bet offers several advantages to punters and this is why it has rapidly grown in popularity in the last few years. If you are accustomed to regular 1x2 betting, you are likely to find that this is an even more exciting way to wager on the sports that you like. Asian Handicap 0,5 narrows down the possible outcomes available in a football match. Instead of having three options, that is, win, lose or draw, the possibility of a draw is virtually eliminated. What Is Asian Handicap 0.5? Successful punters usually implement several effective strategies to increase their chances of winning a bet. With Asian Handicap types explained, you may find that it is an essential addition to your regular betting methods. Once you start utilising this technique, it may bring even bigger winnings your way. Asian Handicap 0,5 suits men and women who bet on football, rugby matches or any other game with a similar type of points allocation system. With Asian Handicap 0,5, a handicap of -0.5 or 1/2 is given to the stronger team at the beginning of the match. This is done in order to help even the odds. At the same time, the underdog or the weaker team gets an advantage of +0.5. At the end of the game, the negative handicap is added to the goal total of the stronger team. Asian Handicap 0,5 narrows down the odds and this helps to make football betting even more exciting. One single goal can change everything, even in a tightly contested match. 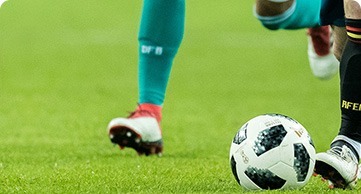 This technique allocates an advantage of half a goal or 0.5 to the weaker team and a handicap of -0.5 to the stronger team from the beginning of the match. The stronger team must overcome this handicap in order to win. With the stronger team given a handicap of -0.5, you could have a bet result of half lose if the game draws. Suppose you want to bet on a game involving Manchester United and Liverpool. You may be a Manchester United fan and so you might regard them as the stronger team. You decide to bet using Asian Handicap 0,5. This gives Man United a penalty of -0.5 at the beginning of the game. Let us suppose further than Man United is the home team, with home odds of 1.85. You decide to bet $200 on Manchester United, hoping for them to win. At the end of the game, the handicap and advantage are added to each team’s total score. If Manchester do win, you win your stake times the odds. In other words, you will win £200 X 1.85 = £390. Since your initial wager was £200, your profit is =£390-£200=£190. If Liverpool wins or there is a draw, you won’t get any profit and you won’t get back any part of your stake. This is because when Man United’s handicap of -0.5 is applied to a losing number of goals or a draw, it would result in them having a lower total score than Liverpool. In a case where Liverpool scored 2 goals and Manchester United got 2, the handicap of -0.5 would give Man United a total of 1.5, for betting purposes. So you would lose your wager. Asian Handicap 0,5 has grown rapidly in popularity among punters right across Europe because it dramatically improves the betting odds for them. With traditional 1×2 betting, your chances of having the outcome you want are just 1 in three or 33%. This is because there are three possible outcomes; win, lose or draw. When the draw outcome is virtually nonexistent, that basically leaves you with two outcomes that are possible, which is what Asian Handicap is all about. That means, your chances of guessing the outcome of a match correctly improve to 1 in two or 50%. This means you have a much better chance of winning your wager. Asian Handicap 0,5 is a great way to make money in sports betting. If you are fairly new to sports betting or have considerable experience, it really doesn’t matter. It opens up a world of possibilities to you because it evens up the odds between two teams. You can bet on a losing side and still win money with Asian Handicap 0,5. This can happen because the winner is carrying a handicap. Since this is possible, you must always use this to help you manage your risk. Even if you bet and the match draws, the handicap will eliminate the draw, so you still have a chance of winning your wager. Pay careful attention to your strategy. If you back your favourite team and bet on them not losing just because you think they will fight to win, there is a good chance you could win your wager because of the handicap, even if your team doesn’t win. In other words, the handicap doubles your chances to win. Asian Handicap 0,5 provides you with more flexibility when it comes to betting, so you should always consider your options carefully before you place your money on a wager. Always bet to get the best results and eliminate the possibility of losing your wager. With the handicaps, it is easier for you to win a number of ways, other than the traditional win or lose. In some cases, you may even manage your risk better and make it possible to get back your stakes.